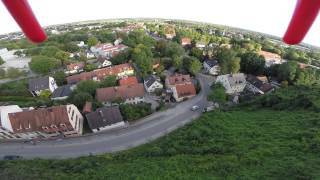 N 48° 15' 35" and E 11° 26' 2"
Dachau in Upper Bavaria (Bavaria) with it's 39,740 citizens is a town in Germany about 307 mi (or 494 km) south of Berlin, the country's capital city. Current time in Dachau is now 01:35 AM (Sunday). The local timezone is named Europe / Berlin with an UTC offset of 2 hours. We know of 11 airports near Dachau, of which 4 are larger airports. The closest airport in Germany is Fürstenfeldbruck Airport in a distance of 9 mi (or 14 km), South-West. Besides the airports, there are other travel options available (check left side). There are several Unesco world heritage sites nearby. 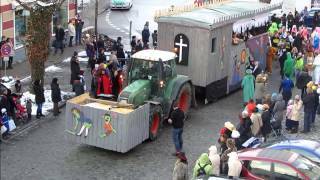 The closest heritage site in Germany is Pilgrimage Church of Wies in a distance of 47 mi (or 76 km), South-West. We discovered 2 points of interest in the vicinity of this place. Looking for a place to stay? we compiled a list of available hotels close to the map centre further down the page. 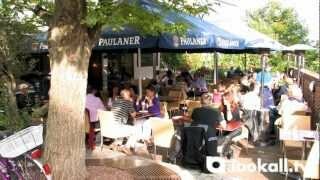 When in this area, you might want to pay a visit to some of the following locations: Hebertshausen, Karlsfeld, Bergkirchen, Rohrmoos and Schwabhausen. To further explore this place, just scroll down and browse the available info. Let's start with some photos from the area. 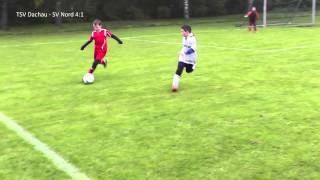 TSV Dachau - SV Nord Lerchenau E3, 3 Spieltag 05.10.2013, U11 (E-Jun.) Nord 04, E-Junioren Gruppe Bezirk Oberbayern Kreis München. 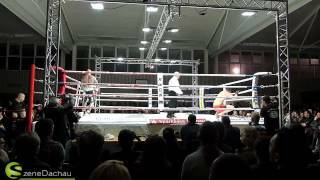 Toby Huber Vs. Muhamed Mahmic bei Petkos Fight Gala am 24.01.2015 in der ASV Halle Dachau. Verabschiedung der Alternativen von den Hundefreunden Dachau. Dachau is a district in Bavaria, Germany. It is bounded by (from the south and clockwise) the districts of Fürstenfeldbruck, Aichach-Friedberg, Pfaffenhofen, Freising and Munich, and by the city of Munich. Located at 48.25, 11.42 (Lat. / Lng. ), about 1 miles away. An estate comprises the houses and outbuildings and supporting farmland and woods that surround the gardens and grounds of a very large property, such as a country house or mansion. It is the modern term for a manor, but lacks the latter's now abolished jurisdictional authority. It is an "estate" because the profits from its produce and rents are sufficient to support the household in the house at its center, formerly known as the manor house. Located at 48.2259, 11.3417 (Lat. / Lng. ), about 5 miles away. The Malmedy massacre trial (U.S. vs. Valentin Bersin, et al. ) was held in May–July 1946 in the Dachau concentration camp to try the German Waffen-SS soldiers accused of the Malmedy massacre of December 17, 1944. The highest-ranking defendant was the former SS general, Sepp Dietrich. It attracted great attention because of the nature of the crime and the later disputes about the conduct of the trial. Located at 48.2703, 11.4681 (Lat. / Lng. ), about 2 miles away. The Dachau liberation reprisals were a series of killings of German camp guards and German prisoners of war from the Dachau concentration camp on April 29, 1945, during World War II. Following the prisoners' liberation by American soldiers from 45th Infantry Division of the U.S. Seventh Army, American soldiers allegedly wounded and killed German camp guards and German prisoners of war. The number of victims differs widely by account, though the estimated death toll stands at 123. Located at 48.15, 11.45 (Lat. / Lng. ), about 8 miles away. Located at 48.1475, 11.4619 (Lat. / Lng. ), about 8 miles away. 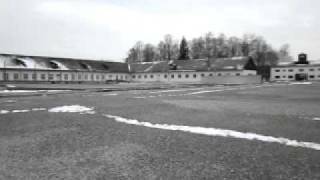 The Dachau Palace is a former residence of the rulers of Bavaria at Dachau, southern Germany. Located at 48.2581, 11.4331 (Lat. / Lng. ), about 0 miles away. Located at 48.15, 11.4614 (Lat. / Lng. ), about 8 miles away. Located at 48.1631, 11.4564 (Lat. / Lng. ), about 7 miles away. Located at 48.1646, 11.482 (Lat. / Lng. ), about 7 miles away. Located at 48.1803, 11.5072 (Lat. / Lng. ), about 6 miles away. Located at 48.2153, 11.4917 (Lat. / Lng. ), about 4 miles away. Dachau station is a station in the Bavarian town of Dachau on the Munich S-Bahn network. It is classified by Deutsche Bahn as a category 3 station and it has five platform tracks. It is served daily by about 190 trains operated by Deutsche Bahn, including 150 S-Bahn trains. Dachau station is on the Nuremberg–Munich high-speed railway and is the beginning of the Dachau–Altomünster railway. Dachau Stadt (town) station is on the Dachau–Altomünster Railway. Located at 48.2547, 11.4444 (Lat. / Lng. ), about 1 miles away. 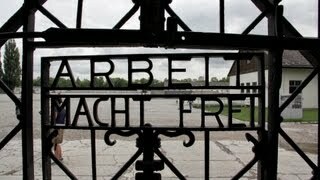 Jourhaus was the name of the entrance building to the prisoners' camp at Dachau and Gusen concentration camps. It housed administrative and command offices and was the location for disciplinary hearings of prisoners. Located at 48.2683, 11.4669 (Lat. / Lng. ), about 2 miles away. The Regattastrecke Oberschleißheim is a rowing venue situated in Oberschleißheim near München in Germany. It has hosted several world rowing events, among them the 1972 Summer Olympics. Located at 48.2428, 11.515 (Lat. / Lng. ), about 4 miles away. Located at 48.1819, 11.5186 (Lat. / Lng. ), about 7 miles away. Located at 48.2167, 11.4333 (Lat. / Lng. ), about 3 miles away. Located at 48.1975, 11.4147 (Lat. / Lng. ), about 4 miles away. Located at 48.1508, 11.4617 (Lat. / Lng. ), about 8 miles away. Located at 48.1486, 11.4633 (Lat. / Lng. ), about 8 miles away. Located at 48.2, 11.4528 (Lat. / Lng. ), about 4 miles away. Located at 48.1833, 11.5167 (Lat. / Lng. ), about 7 miles away. These are some bigger and more relevant cities in the wider vivinity of Dachau.